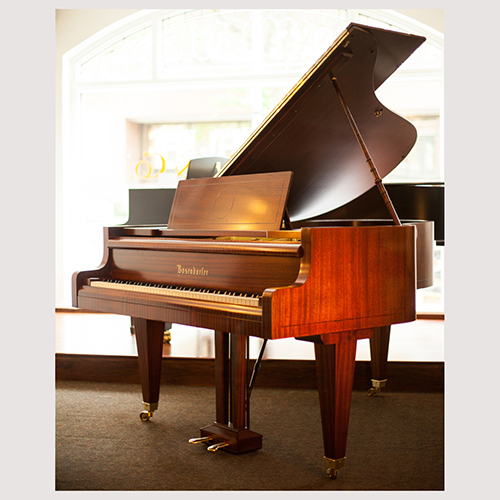 This lovely Bosendorfer was bought by Paul Hahn’s sister, Marta Stayner, in 1913. It resided at 201 Heath street until 1988 - her sister Rosemarie taught piano lessons on it to many neighbourhood children, including Jane Bunnett. After Marta's death, it was adopted by her niece Qennfier Hahn-Browne. Since that time, the Hahn-Browne family have loaned it to many deserving artists: Peter Longworth, Artun Miskciyan, and finally, the incomparable Ron Davis. Now part of Paul Hahn’s stock, it will go through a full restoration this year. Please contact us for more details!